The following are some teaching materials that I prepared for the AfricaArray REU project. Seismic reflection and refraction were taught in the class. I have given two-hour-long lectures and prepared related excises. 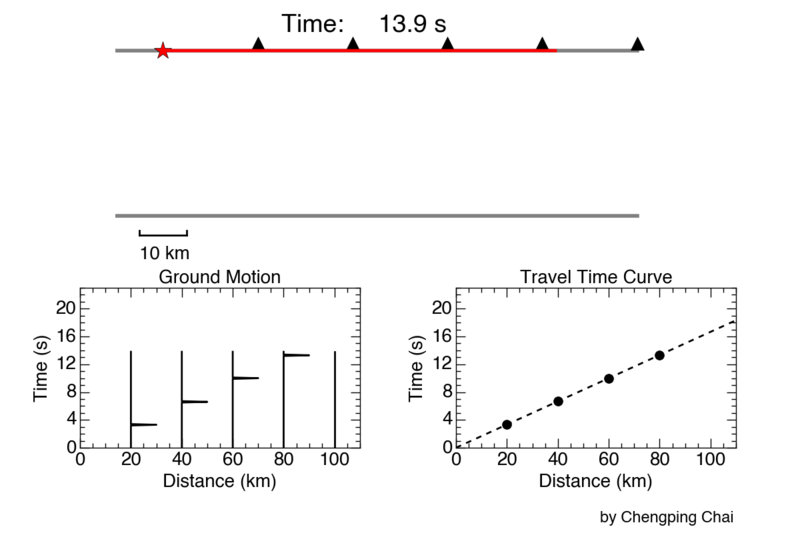 Wavefront and wave path are two representations of seismic waves. The following animations show the wavefront and a wave path of a one-layer-over-half-space model. 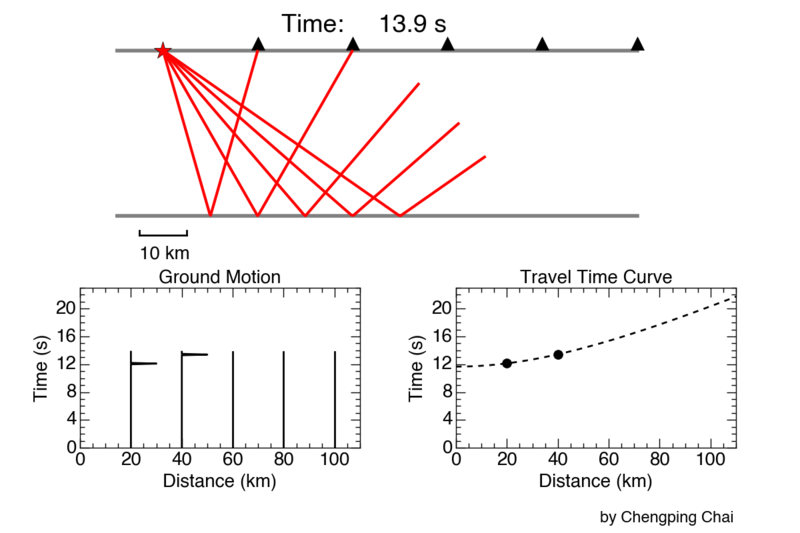 The velocity model is designed to be a typical crust with a Vp of 6 km/s and a layer thickness of 35 km. You may click the following images to see animations. The following two animations are simulated experiments for direct waves and reflected waves.